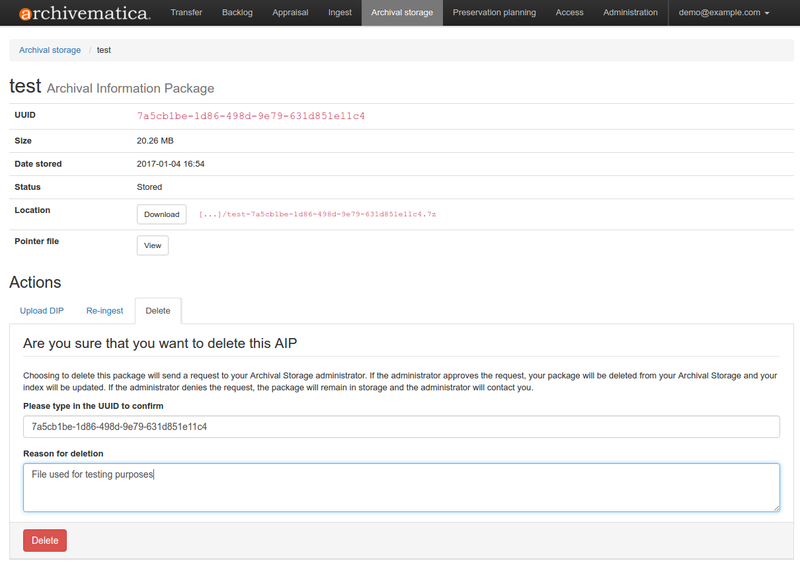 If you are running Archivematica without Elasticsearch or with limited Elasticsearch functionality, the Archival Storage tab will not appear in your dashboard. Run your transfer through the regular microservices. Select Show AICs? 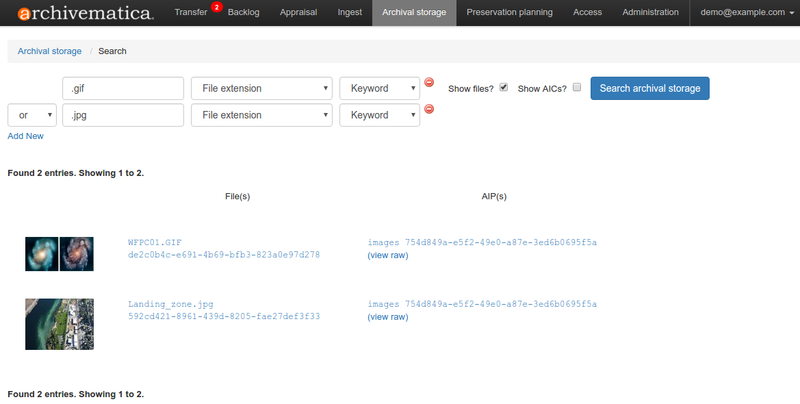 to display Archival Information Collections (aggregates of multiple AIPs) in your results.